Your morning news, notes and links for all things Texas Tech athletics, including a Q&A with Patrick Mahomes. Your daily dose to all things Texas Tech athletics. 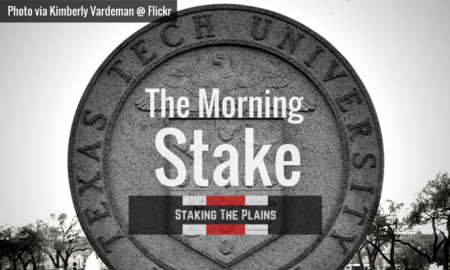 Your daily dose of Texas Tech news, notes and links. Your daily dose of all things Texas Tech athletics, on the morning of Texas Tech's first NCAA appearance in 9 years. Your daily dose of Texas Tech athletics, including actual proof of Jakeem Grant's 4.1 40-yard dash.